Membership is available to all persons interested in fostering the purpose and objectives of the organization. Members are those whose current IPAC Canada and IPAC Nova Scotia membership fee is paid. Memberships are non-transferable and lapses annually. Only members may vote at IPAC Nova Scotia meetings. 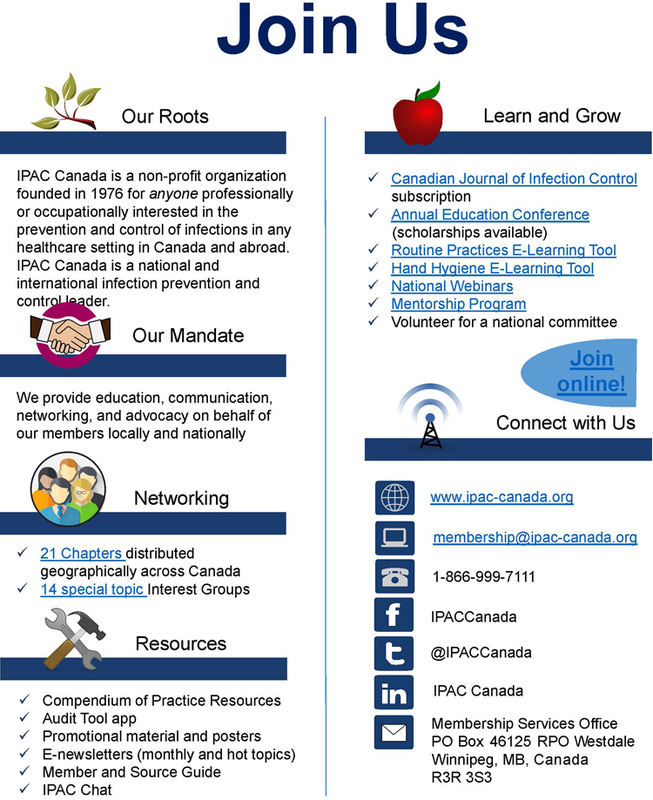 To hold office or vote on IPAC Canada issues one must be an active member of IPAC Canada. Our current membership includes health care professionals from acute care, long term care and the community.